James Wan is preoccupied. He’s made three nearly identical films back to back – Insidious, The Conjuring, Insidious: Chapter 2. In each, small children are terrorized by malevolent forces from beyond the grave, and their well-meaning parents are useless to help them, so the family turns to supernatural investigators. A big, scary dead lady is to blame. Perhaps worry over Wan’s childhood is appropriate at this point. So why has his recent output been so much fun to watch? Rock solid casting helps. Given the comparably miniscule budgets for each film, the fact that Wan drew the interest of Vera Farmiga, Rose Byrne, Lili Taylor, and Patrick Wilson (all three times!) says something for his casting ability. Even in this third go round – easily the weakest of the efforts – Wan still shows a joyous thrill for adventuring into something that clearly terrifies him. As with the previous two ghostly installments, Wan also favors flesh and blood performances to FX when it comes to the spectral side of his films, which continues to elevate his work above other recent ghost stories. 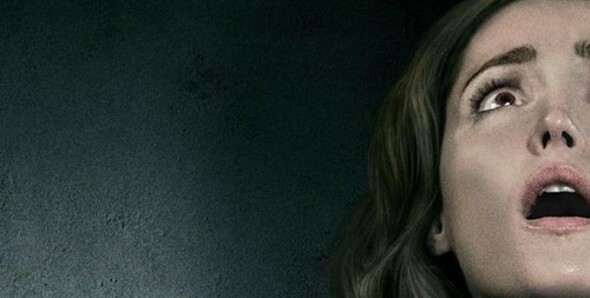 Insidious: Chapter 2 picks up right where the original left off. The beleaguered Lamberts have their once-comatose-and-trapped-in-ghostland son Dalton back, but something ugly returned with him. Far more streamlined than Chapter 1 but with little of the elegant slow build of Conjuring, Chapter 2 splits its efforts between two sets. We’re in the house with the terrified Lamberts, or we’re ghosthunting with Grandma (Barbara Hershey) and her paranormal investigators. It amounts to two haunted houses, more children in peril, and ghosts who don’t just lurk and stalk but punch you full in the face. So that part’s new. By this time, seeing an expert on the paranormal freeze in their tracks, terrified beyond words at the malevolent force only they can see feels a little stale. Rather than exploring the darkness as he did so weirdly well in Chapter 1, Wan mostly contents himself with the two real-world sites, which is a bit of a letdown. Still, that “he has your baby he has your baby he has your baby” dude is pretty freaky. Lots of images are, showing that Wan’s arsenal of unsettling vision wasn’t quite yet empty. Insidious 2 is a fun genre piece, but a bit of a disappointment after this summer’s spookirific The Conjuring. By this time, hopefully Wan has exorcised his demons and can turn his attention elsewhere. Oh, that’s right. He’s directing Fast & Furious 7. I don’t know. Maybe another ghost story would be OK.